she - breakfast in front of the heater, and she won't put a dressing gown on. Isn't that the way of it! 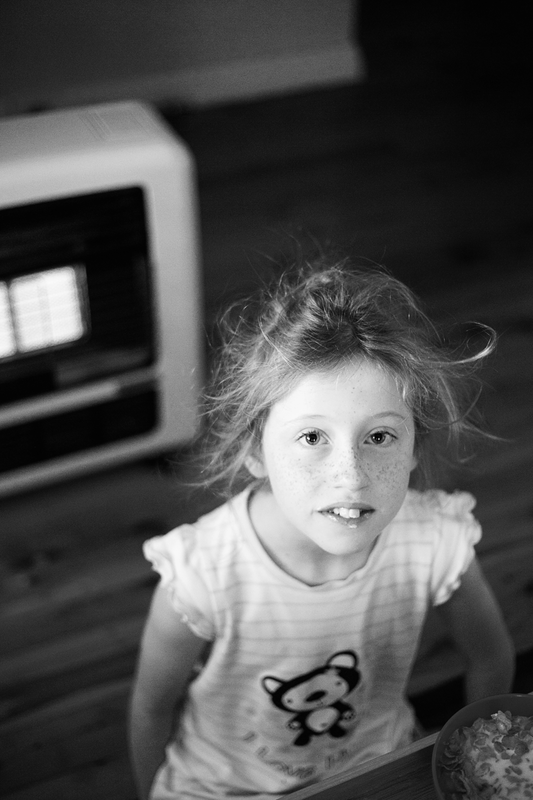 Getting the kids to wear jumpers is just so hard - however hovering close to the heater? A completely different story! Such a lovely capture of an every-day moment!